Monaco has fired Sporting Director Michael Emenalo just few hours after manager Thiery Henry was shown the exit door on Friday. Michael Enemnalo a former Nigeria international who made name for himself while he was with English Premier league side Chelseabefore joining the former French champions in November 2017 . The 53-year-old has struggled to convince Les Monégasques vice president Vadim Vasilyev with some of his recruitment to the first team with the latest signing of Cesc Fabregas, Winner, Ballo-Toure and Naldo. L’Equipe claims that Emenalo will now follow Thierry Henry who won just two league matches in 12 attempts out of the Club as Leonardo Jardim whom Henry replaced return to Stade Louis II for the second time just three months ago he left. 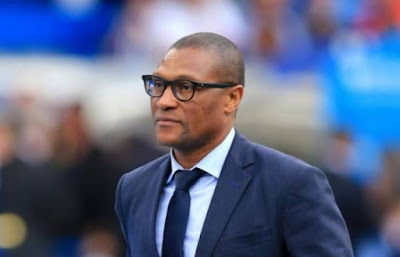 Emenalo on his part failed to replicate his good administrative skills which saw him lifting Champions League, Premier League, Europa League, FA Cup, and Caraboa Cup with Chelsea. Monaco are 19th in the league and they travel to Dijon on Saturday for Ligue 1 encounter.